Possesses innovative user interface to let users view real-time encryption. Acts as a defense layer between kernel and destination application. Is available in Premium, Pro and Trial version. Runs with very little resources. Supports browsers and maximu m applications including chat applications. Introduces to innovative high-tech cryptography methodology to protect against the toughest malware. Keeping the client requirements in mind, we developed anti-key logging software that uses state-of-the-art cryptography to keep users’ information encrypted while it travels through their keyboard to the destination application. Especially used to secure the application credentials, this software is capable of defeating key loggers by simultaneously encrypting your keystrokes at keyboard driver level. The application is deeply rooted in the system making it difficult for key loggers to bypass encryption. This application works seamlessly in concert with several security and authentication programs. The system applies stringent security and privacy measures and offers effortless software installation. 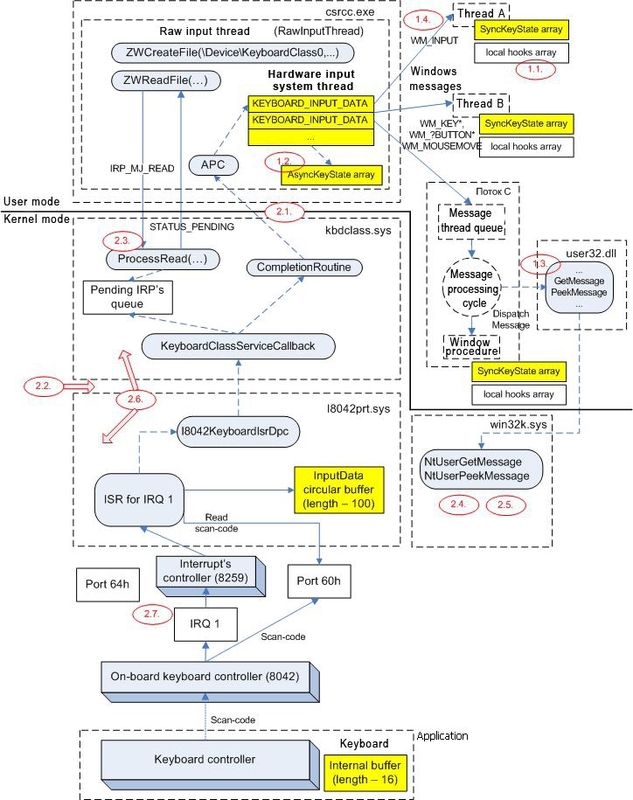 Kernel Level Programming in driver that provides application to load driver on machine restart. Speeding up at all interfaces and instances make application flawless. Developing an application to load driver on memory without any crashes. Normally,machine crashes during driver load events. Developing customized encryption logic that will provide non-hackable feature to the application. 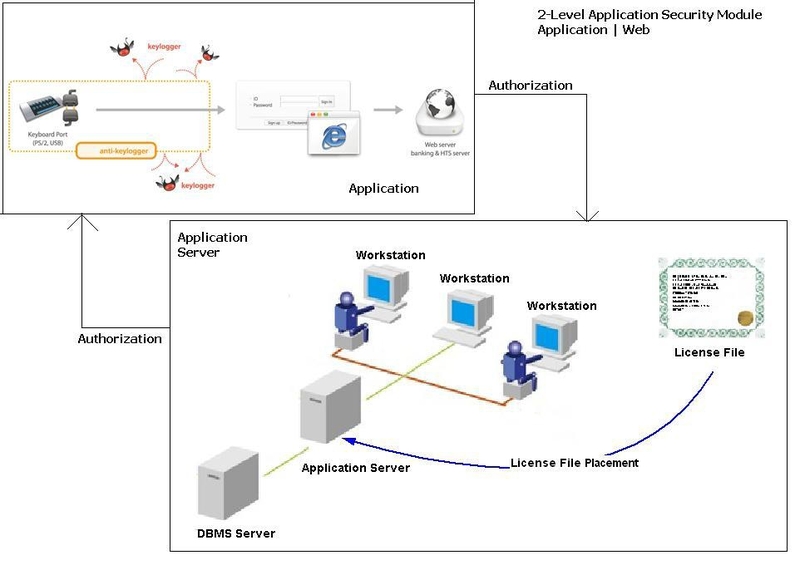 Securing the interaction between server and application. Web authorization has been enabled with this application. Designing a dynamic logic to find focus on control to make application work even more accurately. Developing a driver that supports all functionalities of a normal keyboard. It also supports customized encryption technology to encrypt all keystrokes. Development Tools & Environments	 Windows DDK, C, Microsoft Visual Studio, VC++, MFC, NSIS, .Net Framework 4.0 etc. The User Interface Layer which forms the Graphical User Interface of the software and website. Development – High Level Coding Standards has been followed for managing backup data volume. Synchronization with server for recent updates was taken care off. Research and analysis has been scheduled to get the actual level of output of data which were in the form of different verticals and business logics. Precisely need to concentrate in sync with existing and new ly available data for backup with our database for result to get generated. Introduces high level of security and data fetching technology. This application is meant to run on Windows XP/Vista/Win7 operating systems. It is built around C, and .assembly language, and .Net framework 4.0. The design for each screen is implemented using the UML diagram and basic framework which is newly integrated for high performance applications. Almost all the modules are developed using foundation, core graphics and . Net frameworks. Wireframes are designed for each dialog box that appears which is integrated with UML diagram to meet client requirements. Driver development module includes complex structu re and configuration to allow application for successful communication between driver and user mode application. Kernel level programming helps application to work accurately without any crash or memory leak, but with fast performance. Further, light-version installer adds charm to this application. High resolution images with low memory use improve overall performance of the application. Customized installer helps user to use command line parameter. The application was developed and fully functional w ithin a span of 10 months.